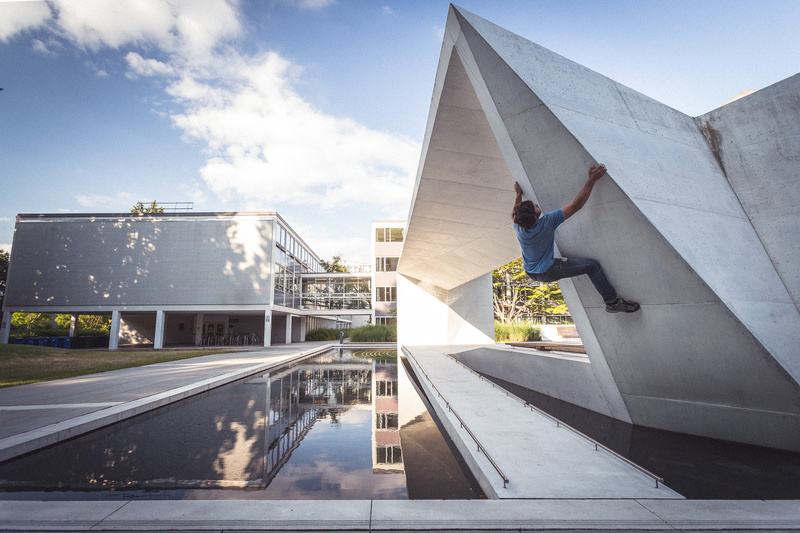 Grant Stewart climbing one of the architectural sculptures on the campus of UBC, Vancouver. Public art litters our cities, intended to decorate our urban spaces for the benefit of its communities. Their use is prescribed by convention: look, but don't touch. If such sculptures are intended for public consumption, surely their purpose is broader and open to interpretation. Climbing - or more accurately, buildering - is one of many ways of appropriating public space, taking ownership of the city and creating an autonomous and authentic identity within it.